How to Optimize Search Engine Results? Place strategic search phrases on pages. Integrate selected keywords into your website source code and existing content on designated pages. Make sure to apply a sug­gested guideline of one to three keywords/phrases per content page and add more pages to complete the list. Ensure that related words are used as a natural inclu­sion of your keywords. It helps the search engines quickly determine what the page is about. A natural approach to this works best. In the past, 100 to 300 words on a page was recommended. Many tests show that pages with 800 to 2, 000 words can outperform shorter ones. In the end, the users, the marketplace, content and links will determine the popularity and ranking numbers. Submit website to directories (limited use). 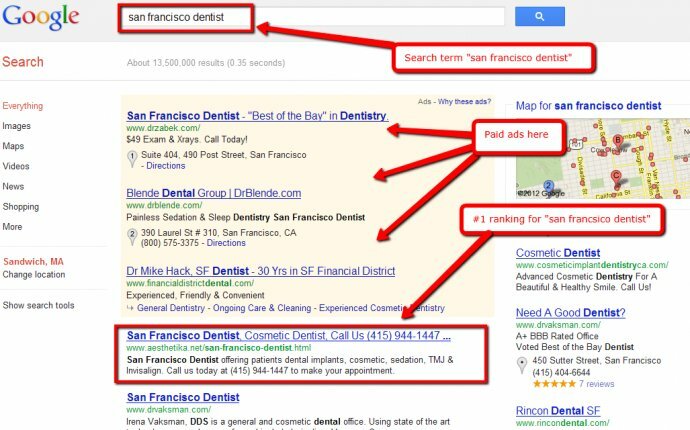 Professional search marketers don’t sub­mit the URL to the major search engines, but it’s possible to do so. A better and faster way is to get links back to your site naturally. Links get your site indexed by the search engines. However, you should submit your URL to directories such as Yahoo! (paid), Business.com (paid) and DMOZ (free). Some may choose to include AdSense scripts on a new site to get their Google Media bot to visit. It will likely get your pages indexed quickly. - How to Improve SEO Ranking?